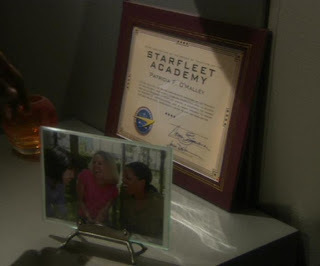 Enterprise: "Storm Front, Part II"
Plausible: "Official Fan Club" diploma circa 2009. According to a blog called TrekNostalgia this design was released pre Dec2009 (date of the blog) by the official Star Trek fan club. 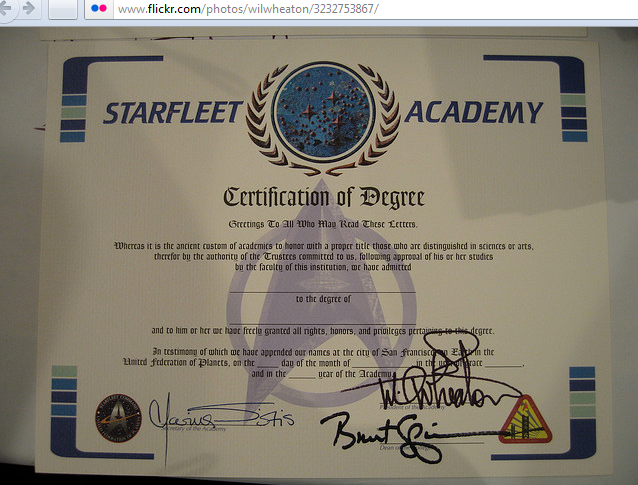 It appears to be the most reproduced diploma on the web. You can even buy them on Ebay, from a guy who makes sure the blue ink is iridescent. From Wesley's... er, Wil Wheaton's Flickr. This diploma was found on Wil Wheaton's Flickr (I even left the address bar in the screencap, since I wanted to share it, couldn't use the BBcode box, but couldn't save it either. Look ma, no (red)hands!) 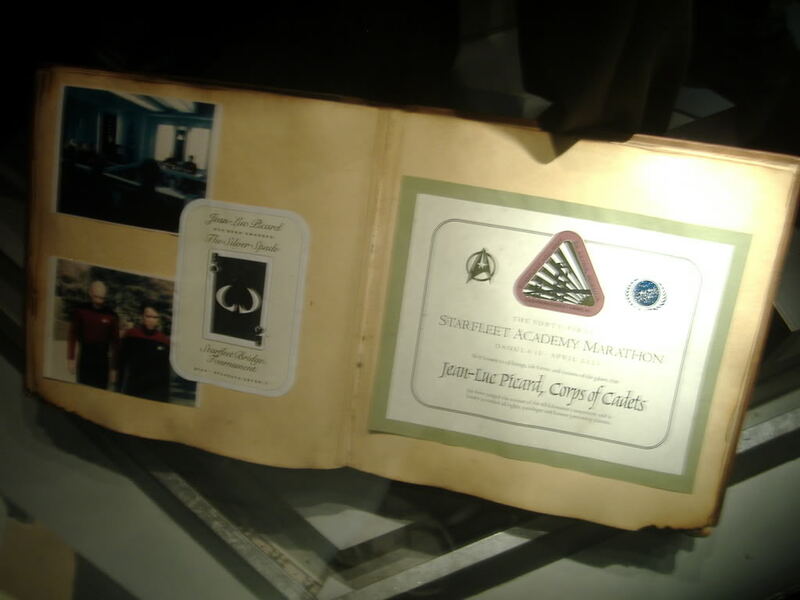 It was posted Jan24-2009 and (I think) was presented to him at Phoenix ComicCon of that year. It lists Wheaton as the academy President, Marina Sirtis as the Secretary of the academy, and Brent Spiner as Dean. 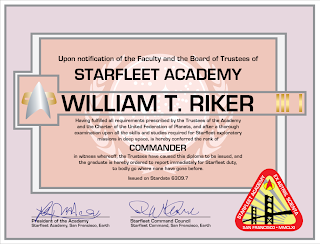 One diploma I found on a "Swagbucks" site called Roddenberrysearch.com, and uses the logos of Roddenberry.com (official Roddenberry estate website). 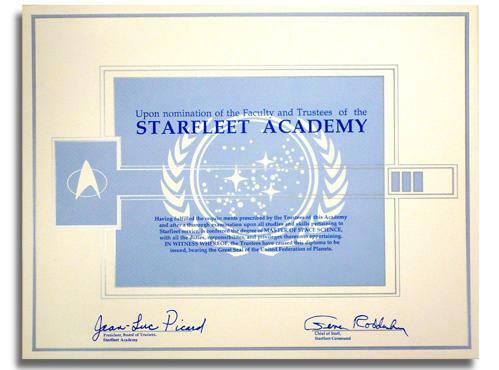 It's similar to Voyager Diploma, but blue. 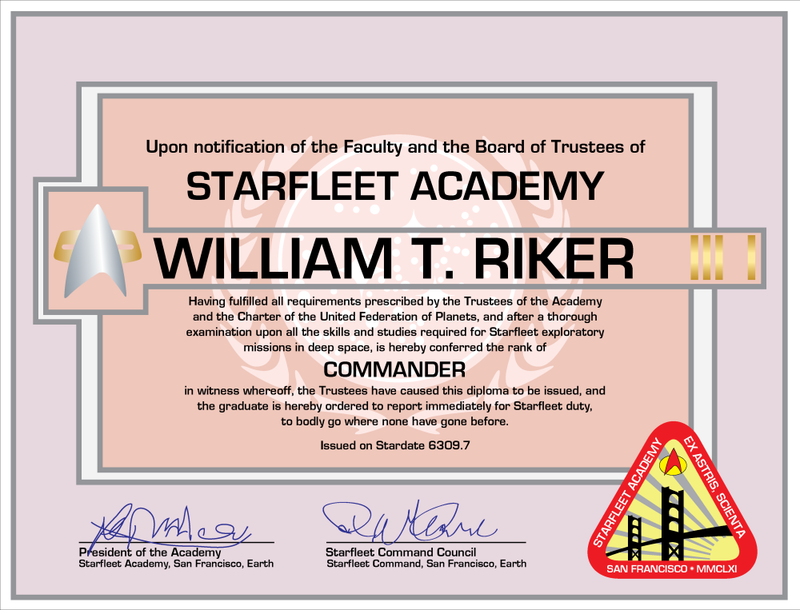 I emailed the webmaster of the Roddenberry.com store to verify if it's been authorized, and it is indeed provided by Roddenberry.com. 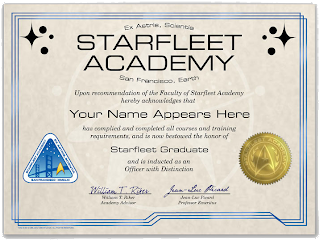 This I found via Photobucket user Sladeshine, because they thought it was Picard's diploma. It's a Starfleet Academy Marathon certificate for winning the race and is pretty nifty, so I thought I'd include it. The image could be a screencap, though the poster does not give any info on it. 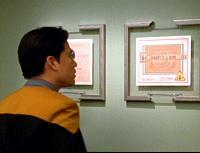 Memory-Alpha claims the family album was for Star Trek: Generations, but was not shown in the movie. 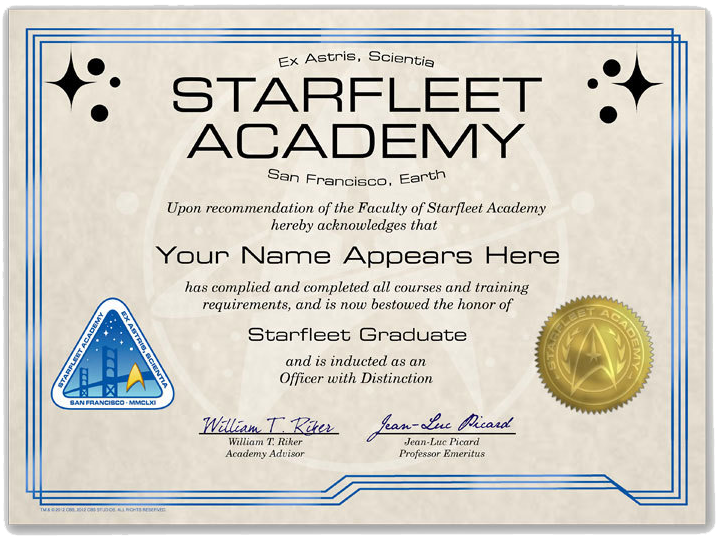 They include a mock up of the certificate. 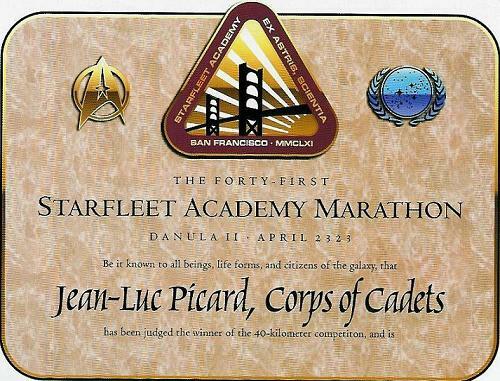 Note: This mock up says the marathon was 40 kilometers, which is only 24.6 miles. It would be 42.2 km. There seems to be no diploma mocked up for Starfleet Medical Academy. He has stills to back them up too. 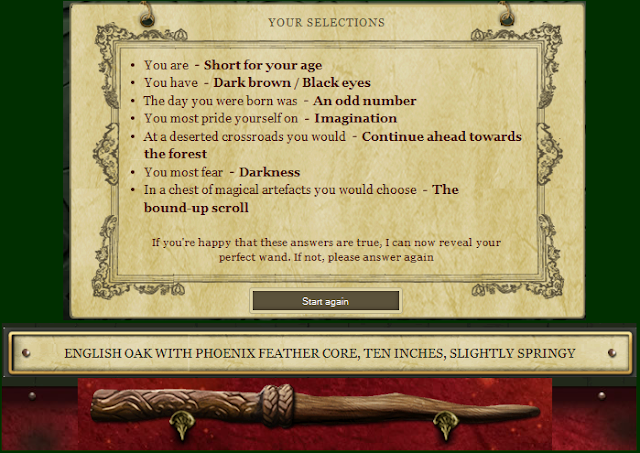 Way too awesome!